The videogame industry had a solid month of sales in November, driven by the success of Microsoft's Kinect and the monster launch of Call of Duty: Black Ops. It hasn't been the best year ever for the game industry, which is still struggling with a year-over-year decline in overall "new physical channel" sales. But the month of November was a good one, as sales of hardware and software increased very slightly while sales of accessories, which includes Kinect and Move, went through the roof. Hardware sales in November 2010 were up by two percent over November 2009, from $1.05 billion to $1.08 billion, while software sales rose from $1.41 billion to $1.46 billion, an increase of four percent. Accessories, on the other hand, leaped from $244.5 million to $413.3 million, a 69 percent jump that powered year-over-year accessory sales to a 15 percent improvement. That impressive mark wasn't enough to compensate for the relatively flat hardware and software sales, however, which left overall sales down by four percent year-over-year. 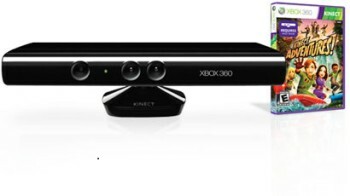 "The 360 platform accounted for over 40 percent of total industry sales driven by the successful launch of Microsoft's Kinect. Xbox 360 accessories accounted for 60 percent of that categories' dollar sales this month," Anita Frazier of the NPD Group said. The Xbox 360 itself had a very good month as well, Frazier added, managing an "incredible" 68 percent increase over November of last year. On the software side of the coin, November was all about Call of Duty: Black Ops, which banged out 8.4 million units and accounted for one quarter of all new software sales in the month. Not only that, but in just one month of release it became the seventh-best-selling game of all time, life to date. Somewhat surprisingly, the music/dance genre also did well, enjoying a 38 percent rise thanks to good sales of Just Dance 2 and Dance Central.